Mary Elizabeth Green Merriman, 96, of Sardis, MS passed away on Thursday, March 21, 2019 at her home. Mrs. Merriman was born on March 26, 1922 in Charleston, MS to The Late Lillian Kibbler Green and John Robert Green, Sr. She was a member a member of Como Church of Christ and was a loving wife, mother, grandmother and friend. She will be deeply missed by those who knew and loved her. Mrs. Merriman leaves behind her loving family which includes her daughter, Ann M. Williams (Tommy) of Sardis, MS; two daughters-in-law, Gilda Merriman of Sardis, MS and Joan Merriman of Nettleton, MS; four grandchildren, Kim Sheley (Craig), Belinda Foster, ZacWilliams (Krissi), and Sam Williams (Jennifer); and seven great-grandchildren, Taylor Sheley, David Craig Sheley, Jr., Anna Foster, Olivia Foster, Kaylee Williams, Aidan WIlliams, and Ada Joyce Williams. She was preceded in death by her husband of 56 years Allen N. Merriman; two sons, John Allen Merriman and Tommy Louis Merriman; and her parents. Funeral services will be held on Sunday, March 24, 2019, at 2pm in the Sardis Chapel of Ray-Nowell Funeral Home with Bro. Taylor Francis officiating. Interment will follow in Union Cemetery. Visitation will be held in the funeral home on Sunday from 12:30pm until service time at 2pm. 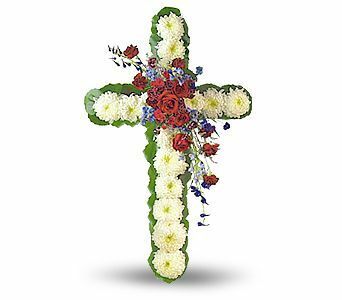 In lieu of flowers, memorial contributions may be made to Sardis Lake Christian Camp, 176 4-H Club Rd., Batesville, MS 38606 or to Sunnybrook Children's Home, P.O. Box 1497, Ridgeland, MS 39158.